Hi loves! Look who jumped on the PixieDust bandwagon, lol! I really intended to get some of these earlier, but oh well.. in the end I just asked 2 of them, along with Noot, for my birthday and my grandmother gifted them to me ♥. So let's take a look at Zoya Sunshine, shall we? Zoya Sunshine is a "Van Gogh navy blue in a matte, textured, sparkling finish" as described by Zoya. I really love this shade of blue, it's muted, but not too grey and not too dark either. Application was perfect, one easy coat and I was done! Normally I am in doubt and do 2 coats, but it wasn't necessary at all. It does take some time for the effect to fully settle (around 4/5 minutes) but when it does, it's just amazing ♥. This is how I like my textures the best: no extra (larger) glitter, a good sparkle, and a nice matte finish in between. Now I am planning to get some other PixieDusts in the future, especially Chyna, Godiva, Carter and maybe some others. Catching this virus will not be good for my wallet ;-)! Do you own any Zoya PixieDust polishes? If so, which shade is YOUR favorite? Tell me in the comments! haha we have the same tastes because the others I have are Chyna, Godiva, and Carter!! This is gorgeous! I only have Carter but I want more of them. Thanks dear, you should really try it because well.. it's gorgeous :D! I still have to try Carter though! I have Carter and Tomiko, but now you've made me want this one as well! Great swatch! 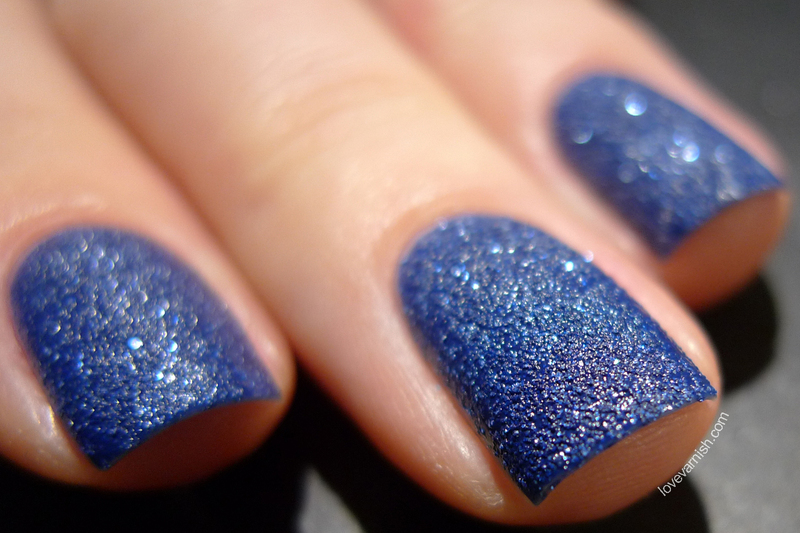 This is one of the nicest PixieDust polishes. My personal favorite is Stevie. I love Zoya textures, they are the only brand that has made me consistently want almost every one. :D you are welcome ;). That's funny, Stevie doesn't really appeal to me at all :). :D hope you enjoy it as much as I did! Nice collection of textures! I'd really love to add some of those Sinful Colors ones but they aren't easy to come by here :(. I feel like that now too! You need Carter and Chyna! The Pixie Dusts are my favorite textured polishes, because they're so fine. I am no fan of the chunky texture either. I don't own any Zoya polishes (yet!) -gasp-. I need this one and Carter in my life, too! O.o none yet?! Not that I own that many haha.. it's so hard to get and quite expensive! But yes, yes you do ♥. I have Godiva, Nyx and London. I am excited for the magical ones and I hope they will have more colors than the 3 in the original release. I'd love one in the Vespa color- like a Tinkerbelle homage! I am very curious about the new magical ones! And that sounds like a great texture indeed :). So so pretty! I WANT it! I don't have any Zoyas yet but someday, I hope!